Okay, I’m back again with my purple hazed take on things bouncing about college football. I went from Kansas State to Penn State to Texas. Figuratively, not literally. 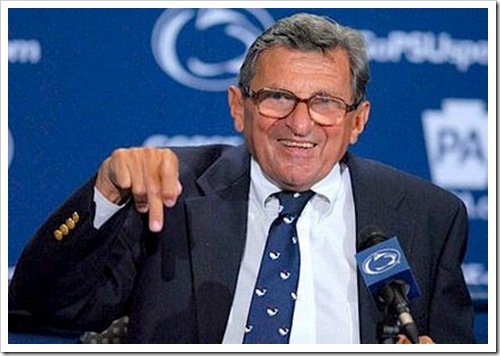 I’m pretty sure my tribute to JoePa will not make the SportsCenter Top 10. I need an embarrassing tweet to do that. Anywho, have at and then blast me in the comments below. Roar!